Owning an actual Popemobile has to be a holy grail for Catholic car guys and girls. Cars used by the Pope aren’t sold all that often, but right now there’s a chance to buy a car used for papal duties in the US over two year ago. It’s for a good cause, too. Unfortunately, it’s not an armoured G-Wagen or a sleek executive limo. 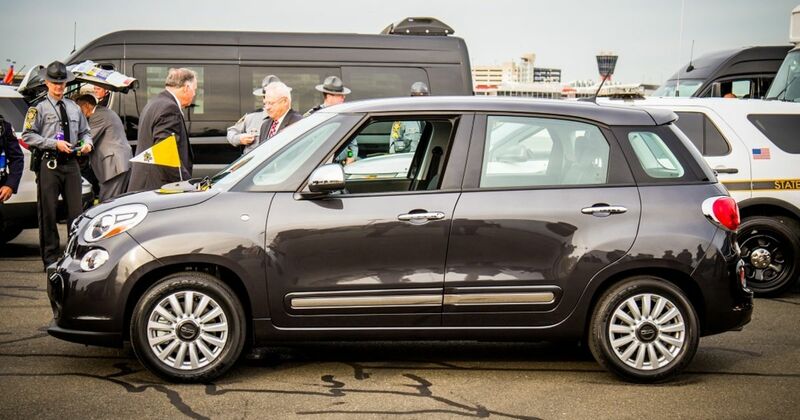 It’s a Fiat 500L. 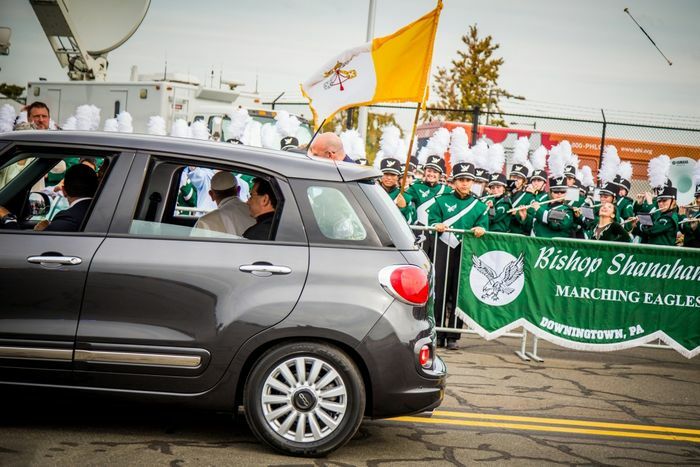 The famously – and admirably – humble head of the Catholic Church was happy with using the little Fiat as his chauffeured biffabout for September 2015’s World Meeting of Families in Philadelphia. He actually used two of the small family Fiats during his week in the US, the other of which was sold in January 2016 for $82,000. 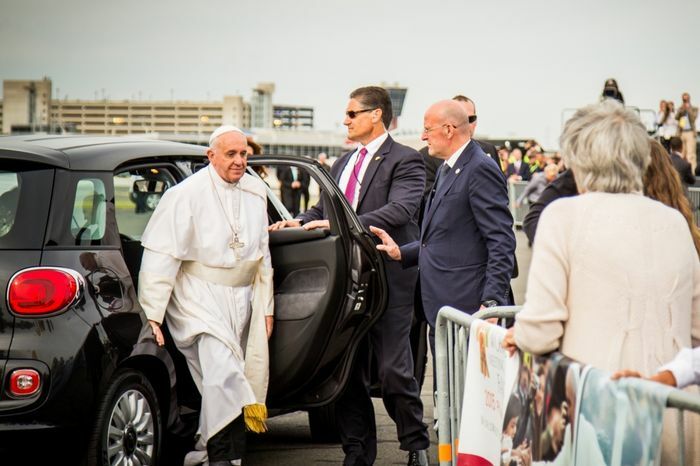 The Roman Catholic Archdiocese of Philadelphia took possession of both cars after the Pontiff’s visit, and is using the sale of both to fund its work with vulnerable people in its area. So, let’s talk about the car itself. It’s a 1.4-litre turbocharged petrol model in metallic grey with black leather(ish) upholstery. A six-speed automatic gearbox means it’s a laid-back runabout and it has just 458 miles on the clock, many of which were completed with papal buttocks denting a rear seat. At the time of writing the bidding was a dollar short of $40,000, with 14 bids received. The reserve hasn’t been met, yet, and interestingly the auction on Charitybuzz places the car’s estimated value at $75,000. Given that they’re not likely to find that a cult of Satanists would want to throw away £75,000 on a Fiat 500L with holy bumprints just so they can desecrate or disgrace it, we think they’ll be fine. Check out some other Popemobiles [here] via some retro CT(https://www.carthrottle.com/post/the-5-most-pimping-popemobiles/)!